Swing Trade cycles: How do we identify a bubble? 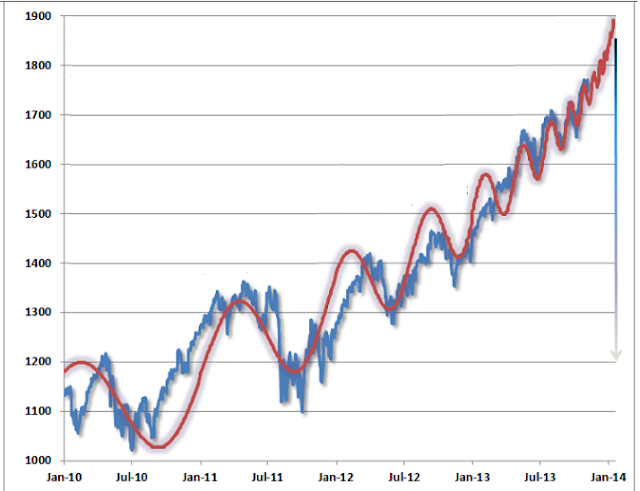 Early in a cyclic bull market the moves are large and long (relatively speaking). As the market advances usually the moves become smaller and shorter. By the time we reach bubble territory the cycles have become frequent and shallow. So we know what to look for to know when the markets are becoming over valued. Yeah, tried to capture the essence of Hussman's articles in less words.